What a magnificent sight The River Lounge was at Henley Royal Regatta last week. 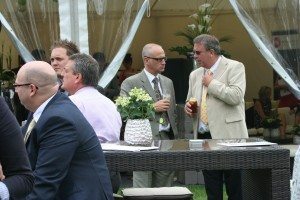 Filled with a huge sense of pride, I admired the River Lounge over and above any of the other corporate entertainment facilities at Henley Regatta, just knocks the socks off our competitors! Trying to write how exceptional our facility is could be a little difficult, but hopefully you will see from the photos on our facebook page. Firstly, the position. Ideally located opposite Temple Island and close to the start line, guests can enjoy the rowing happening right infront of them. Perfect. Then there was the usual array of stunning miniature danish pastries that were presented beautifully…and that was only the morning’s food! 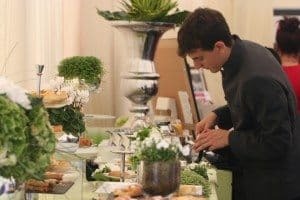 The People, wonder along the other marquees and you will see that our clients really dressed up with wonderful hats, stunning outfits that personally I think reflects the quality of the facility. It’s unquestionably the place to be. Marquee Design – Pictures speak louder than words. 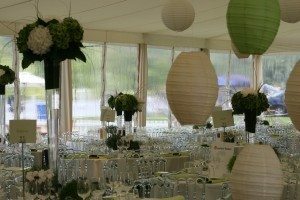 The Henley Regatta marquee this year was designed exquisitely and anyone can see that a lot of thought has been put into the style. From the central bar to the Chill Out Lounge to the sculptured gardens, everywhere has been brought together with style and creativity. Contemporary classic is the term I would use to describe The River Lounge at Henley Regatta. So if you didn’t make this year, put your order in now and reserve your table for Henley Regatta 2012. Having spoken to many of our guests, who tell us what tremendous value for money the event is and how amazing the whole day is, we want to run to the top of a hill and shout it out aloud! So come along, I am hoping we can slightly increase the size of The River Lounge for Henley Regatta 2012, do come and join us.